The market requires work clothes that are stylish and which stand out. 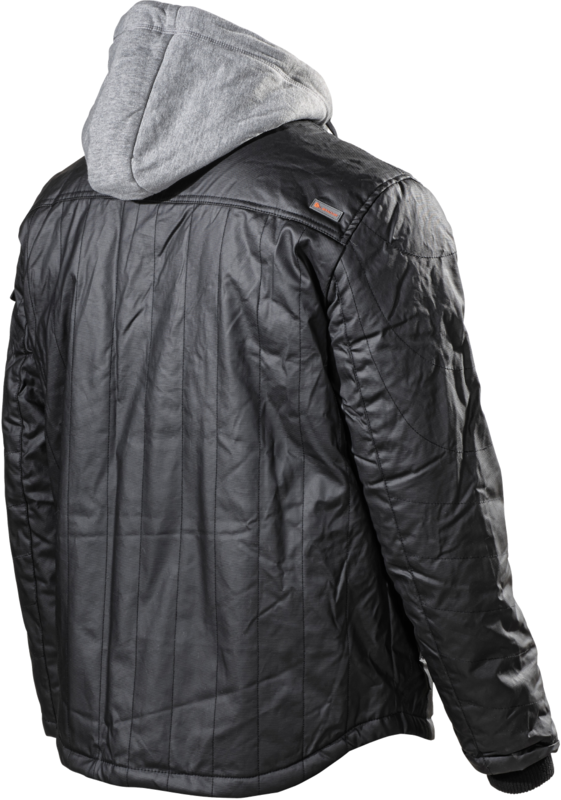 We answer this, among others, with this jacket. 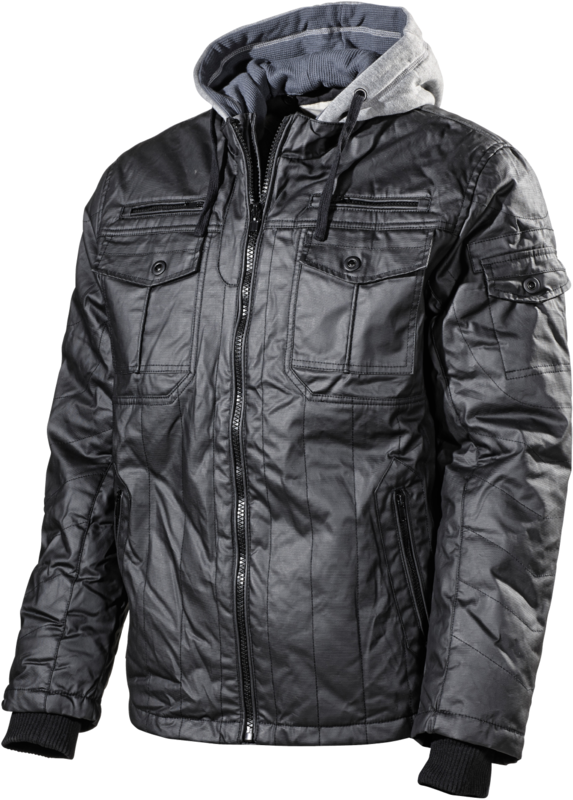 A warm lined motorcycle model in wax and durable cotton fabric that follows the latest trends. 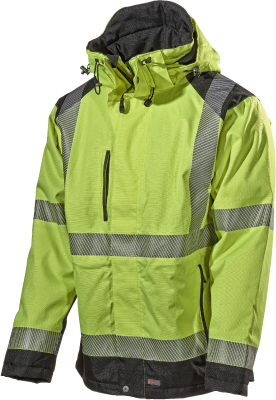 Perfect for anyone who needs a jacket that is both presentable and comfortable to work in. Motorbike model with a waxed outer surface, perfect for hard work. 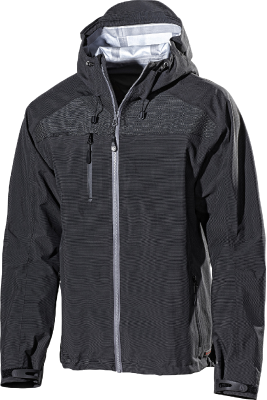 Detachable hood in light-grey college material. Extended back to keep the lower back warm. Four chest pockets, one with a retaining tape for Id card. Two front pockets, one sleeve pocket and two inside pockets.